EL SALVADOR — Mosquitoes threaten the lives of children in El Salvador. In response to the Zika virus, government officials are promoting a two-year ban on pregnancy in El Salvador. The Zika virus could be a bigger global health threat than the Ebola epidemic that killed more than 11,000 people in Africa, health experts have said. Although some in Africa and Asia might have a resistance to this Zika virus, the strain that Brazil is reporting is unique! This is so serious that El Salvador wants women to avoid getting pregnant until 2018, out of concern for the Zika virus rampaging through Latin America. 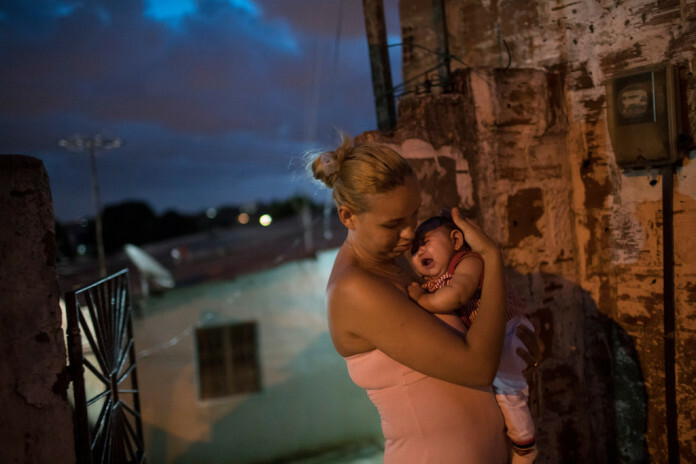 Zika virus can cause serious birth defects, a fact that has led several Latin American countries to ask local women to hold off on getting pregnant until the outbreak is under control. El Salvador, however, is the first to announce a two-year ban on baby-making. With at least 80% of those infected showing no symptoms, tracking the disease is extremely difficult. The mosquito species that spreads Zika, Aedes aegypti, has been expanding its range over the past few decades. “It loves urban life and has spread across the entire tropical belt of the planet, and of course that belt is expanding as global warming takes effect,” added Farrar. Europe and North America, obviously, are unlikely to be affected because Aedes aegypti cannot survive the cold of the winter. However, couples returning from south or central America have been warned not to try for a baby for at least a month in case they have become infected. The Asian tiger mosquito, Aedes albopictus, is also known to transmit the virus, but it is not clear how efficiently. That mosquito species has ranges as far north as North America in summer – the chickens will come home to roost! The Zika virus causes brain damage in infants. The possibility that the Zika virus causes microcephaly – unusually small heads and damaged brains – emerged last October, when doctors in northern Brazil noticed a surge in babies with the condition. About three million babies are born in Brazil each year. Normally, about 150 cases of microcephaly are reported, and Brazil says it is investigating nearly 4,000 cases currently. Reported cases also increase when people are alerted to a potential health crisis. The most dangerous time during pregnancy is thought to be during the first trimester – when some women do not realize they are pregnant. Experts do not know how the virus enters the placenta and damages the growing brain of the fetus. Bill Gates’ Swashbuckling with GMOs and Controlling the World Population. The particular strain of Oxitec GMO mosquitoes, OX513A, are genetically altered so the vast majority of their offspring will die before they mature — though Dr. Ricarda Steinbrecher published concerns in a report in September 2010 that a known survival rate of 3-4 percent warranted further study before the release of the GMO insects. Her concerns, which were echoed by several other scientists both at the time and since, appear to have been ignored — though they should not have been. Nature finds a way — and the effort to control dengue, zika, and other viruses, appears to have backfired dramatically. This GMO program was developed by Bill Gates. And NEARLY 1/4 OF THE WOMEN OF EL SALVADOR HAVE BEEN STERILIZED. Gates is a Eugenicist: “In a 2003 interview with PBS’ Bill Moyers, Bill Gates admitted that his father used to be the head of Planned Parenthood, which was founded on the concept that most human beings are just “reckless breeders” and “human weeds” in need of culling. West Africa must brace herself for this new strain of the Zika plague, unfortunately. But In-shah Allah, this too we shall prevail. Africans must come up with efficient general procedures for dealing with diseases. The lack of an emergency framework of action that can be applied to any outbreak has cost African lives since we first gained awareness of malarial symtms. Definitely a problem arises in using unnatural materials to fight natural occurrences. There is no need to manufacture genetically-modified mosquitoes or genetically-modified anything. There have always been cures to everything from nature. Except the only difference now is that people can capitalize and make money off of manufactured goods. Natural materials do not have similar side effects and rarely cause damage. Clearly Oxitec’s genetically-modified nightmare has drastic negative effects on the health of babies, but so long as the company made billions in its administration, there is no care for the community it impacts and leaves in a worsened state. When will the world embrace its natural materials and come to terms with the reality that there is no man-made drug that can serve our communities better than what Mother Nature herself produces? “That mosquito species has ranges as far north as North America in summer – the chickens will come home to roost!” The Chickens ALWAYS come home to roost! Wow. El Salvador announces a “two-year ban on baby-making.” And “nearly 1/4 of the women of El Salvador have been sterilized.” Population control through biowarfare is real! So does this mean that tourists shouldn’t attend the Olympics in Brazil this summer? It’s too late to move it somewhere else, so this might prevent some people from attending–at least women.